We’ve already seen signs of it — targeted ads on Facebook, suggested people to follow on Twitter, even Google Instant seems to know what you’re thinking — but how is behavioral targeting changing the Internet at large? Now that your browser has a cookie, the targeting begins. Data points amass as you click your way from site to site, taking note of what you buy, what you read and what you search for. The more time goes on, the more data is collected. Back in 2003, we had audience targeting, which assigned people to various demographics and targeted these demographics based on age, gender and location. Now, with more data, the targeting can be — and is — much more dynamic, and can gauge your interests and preferences. 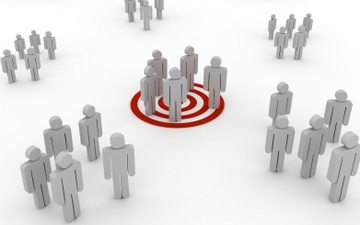 Companies that specialize in targeting can nearly promise more ad engagement by targeting people who have indicated -– through their behavioral patterns on the web -– that they might be interested in the product at hand. It’s a more costly form of advertising, but the conversion rate can offset the increased cost. All of the data that has been collected by targeters has huge implications for the Internet of the future. We spoke with three experts in the field of behavioral targeting to discuss the biggest effects that targeting will have on the web as we know it. 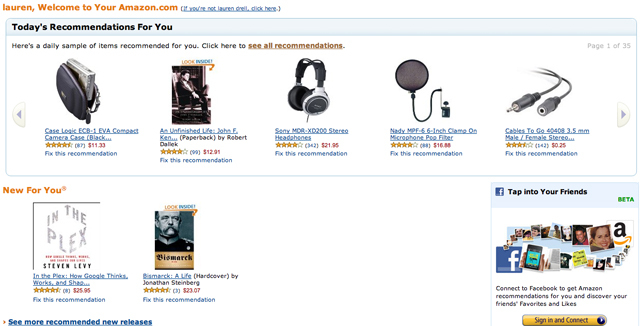 You know how Amazon suggests items that might interest you, based on the items you’ve perused? That’s how the entire Internet could be soon. With systems tracking your cursor and keeping tabs on your browsing history, the Internet can get to know you better — and be smarter than ever. In fact, Amazon’s algorithm is a paragon of excellence for targeters. “Amazon does a fantastic job at making the Amazon experience reliable for the consumer. The entire experience is relevant and more efficient,” says Jeff Hirsch, president and CEO of AudienceScience. And since data collection has been ongoing for years at Amazon, the data points and algorithms have been refined. Years ago, a man might buy a princess outfit for his 3-year-old niece and then be presented with ads for toddler items the next few times he logs on. That doesn’t happen anymore, says Ted Shergalis, founder and chief strategy officer of [x+1]. “As targeters accrue more data and more sophisticated algorithms, they can lessen the impact of statistical outliers,” he says. And what’s been done to the algorithm at Amazon is happening all over the web. Shergalis cites the advent of Google Instant as a huge shift in the web’s evolution — results are repositioning information in a way that is more focused on the query. “Marketers are hoping to do that with all of their work,” he says, meaning that the web might be able to tell you what you’re looking for before you even finish typing it. Hirsch jokes that in 10 years, we may very well look back and laugh that we ever had to type something into Google to find what we were looking for. “Smarter” and “more useful” are two terms he uses to describe how the targeted curation will affect your web experience. Best of all for marketers, Hirsch says, is that more relevant content can lead to more engagement. So when the web is all about you, will it also change its interface, too? Shergalis says the data that would drive such customization is available today, but that cost, time and resources are what’s hindering us from getting to that next level. But, he says, “Consumers are going to come to expect it — you can’t just have a simple, one-size-fits-all experience” for all consumers. “I think the expectations are increasing. I don’t see people wanting to go back to a less personalized, less social, more irrelevant experience, so I think [the customization] trend is going to continue,” Shergalis adds. Especially because there’s so much more information to gather, and the more consumers share their interests with marketers, the more relevant and suited products will be for us, he says. Haran cites her own Google homepage — and how radically different it is from her daughter’s page. She says they have different widgets above and below the fold and they each have a different number of ads, based on their preferences. So it’s clear that customization on the web isn’t a farfetched idea, and sites could soon know whether you like a clean page with only two ads, or whether you’re tolerant of up to eight ads. So you browsed through ESPN.com — does that mean you’ll only get Nike and Adidas ads from now on? No, because there’s more to you than your interest in sports, and the data knows that. It won’t try to pigeonhole you. This is especially important because there is concern that curation and customization lead to tunnel vision and ignorance of everything else that’s out there. That’s why behavioral targeters are testing demographics and creating algorithms to determine other interests and speak to a person’s depth and varied interests and give them an element of choice. Such algorithms will help marketers “discover a whole new audience and develop a new understanding” of this dynamic, multifaceted audience, says Hirsch. As mentioned before, ContextWeb targets based on content. Instead of interpreting CNN as a news site, it breaks it down into retirement, personal finance, education — it’s no longer a one-dimensional perception of the site. And that precision helps to refine the algorithm. “We’re all multi-dimensional people who consume content in different contexts,” says Tanayia Washington, insights and analytics manager at ContextWeb. To some, behavioral targeting seems like an invasion of privacy, though the FTC has taken steps to ensure that privacy is respected (no data is personally identifiable). But privacy seems to be less of a priority among millennials, who tend to be more accepting of behavioral targeting than their boomer counterparts. Perhaps it’s because they grew up with LiveJournals and were the first generation on Facebook, so they’re used to living their lives out loud. Whatever the reason, the things they broadcast on social networks -– where they are, what they’re buying, who they’re with -– are ripe for the picking by marketers, says Shergalis. By virtue of being on these platforms and being so socially connected, young users are essentially opting in and showing a “willingness to participate” for advertisers and marketers. Therefore, behavioral targeters can take advantage of the wealth of consumer information that’s out in the open on Twitter and Facebook, learning tweet by tweet about the audience it’s trying to reach. 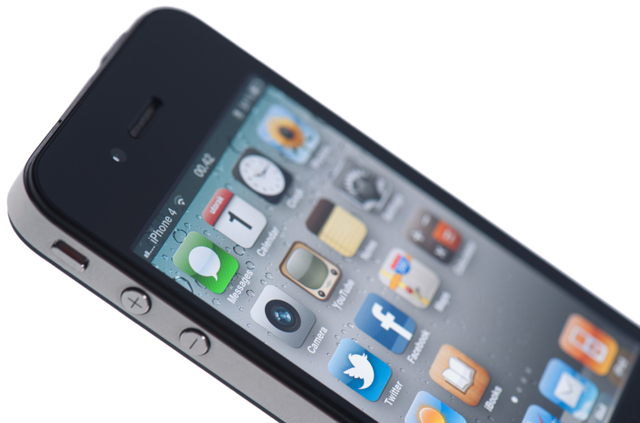 And that’s just one aspect of behavioral targeting’s branching out — targeting will also impact the web experience on iPhones, iPads, Androids and other mobile devices. “You’ll see some pretty amazing innovations … and that will get caught under the heading of behavioral targeting,” says Shergalis. When you’re on your laptop, a targeter can assume that you’re the only user. But let’s say there’s a family of four that shares a desktop computer. How do you know if it’s the accountant dad, the PTA mom, the soccer star son or the Bieber-obsessed tween daughter? What if the husband is shopping for the jewelry for the wife, and then the wife starts seeing diamond ads? In short, behavioral targeting is not perfect, but it has immense potential to change the way we consume and search for information. And this potential is more within reach every day as more data is collected and analyzed. In fact, by the time you read this post, millions more data points already will have been collected, making the Internet that much smarter.